Point2 Homes gives you far more than a simple list of houses for sale. 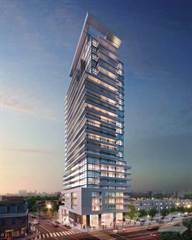 Get instant access to a lot of relevant information about The Annex, Toronto, ON real estate, including property descriptions, virtual tours, maps and photos. The search results pages also have a wealth of information on The Annex, Toronto, ON, if you scroll all the way down. There are 15 houses for sale in The Annex, Toronto, ON. Searching homes for sale in The Annex, Toronto, ON has never been more convenient. With Point2 Homes, you can easily browse through The Annex, Toronto, ON single family homes for sale, townhomes, condos and commercial properties, and quickly get a general perspective of the real estate prices. Also, you’ll never miss a bargain if you filter listings based on house price drops in the past six months. Use the map view to find The Annex, Toronto, ON homes and apartments for sale, based on amenities or city features that you may want close by. You can close in on a specific neighbourhood or area by simply drawing around them with the polygon or radius tools. Stay informed about the latest entries on the real estate market by saving your searches. This way, you get new listings in your inbox, daily or every week, based on your preferences. If you’d like to get in touch with a professional, agents are displayed next to their listings, and they’re easy to contact through the online forms. If you want more options, you can click the Tools tab and Find an Agent, and you’ll get a list of helpful and knowledgeable real estate agents in The Annex, Toronto, ON. Visit the Point2 Homes blog and you can find up to date expert advice on many markets throughout Canada, regular market reports, neighbourhood scoops in cities throughout the provinces, real estate deals and useful recommendations. 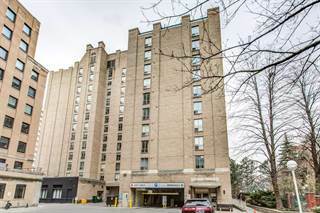 The Annex is a bustling, vibrant neighborhood in the heart of downtown Toronto, Ontario. The Annex is known for being one of the most inclusive areas of the city. In this neighborhood, you will see every possible type of person. People of all ages, from all backgrounds, working in all types of careers live within The Annex. 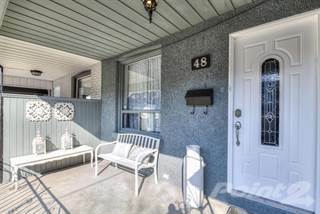 That eclectic mix is certainly part of what gives The Annex the wonderful energy it is so well known for. The Annex is a combination of student hangout and home of the well-to-do. The main campus of the University of Toronto borders the neighborhood, making it an area with a large student population. 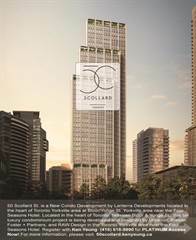 At the same time, many prominent and wealthy Torontonians have famously made their homes here. Margaret Atwood and Adrienne Clarkson, for example, have both called the area home. The Annex is one of central Toronto’s larger neighborhoods with a dense population. The northern edge of the community is marked by Dupont Street, and the south edge by Bloor. The east-west boundaries are marked by Bathurst Street and Avenue Road respectively. The Annex was originally called, ‘The Toronto Annex’ when it was a part of the community of Yorkville. 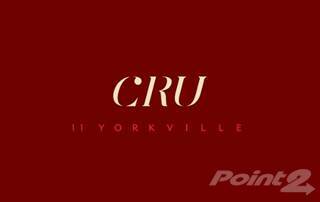 When Yorkville was absorbed by Toronto proper, the community eventually just became known as ‘The Annex’. The Annex is one of the busiest neighborhoods in Toronto. The combination of the University and the many hot spots that visitors from other parts of town like to frequent keeps it busy at all hours of the day. There are a number of entertainment hot spots in the area which means there can be a lot of activity even during the later hours. The shopping along Bloor also draws many additional people to the south end of the Annex. Along the residential streets in the neighborhood, you find a noticeably quieter atmosphere. Typical of older neighborhoods in the GTA, the residential portions of the The Annex have narrow streets, dominated by old-growth trees. Many are lined with “Annex style” houses, a particular architectural style that is mostly unique to this specific neighborhood. There are few neighborhoods in Toronto where one could hope for better entertainment options. If culture, food and nightlife is what you’re looking for in a home, then the Annex is where you want to be. The food in The Annex is a wonderful mix of all of the different culture and cuisine styles that a metropolitan city like Toronto is home to. On Dupont, you have options such as Roti Cuisine of India, which is affordable and delicious, or The Pour House, a traditional style pub. On Bloor, the dining options are endless, with several great sushi restaurants mingled in between everything from vegetarian speciality restaurants to traditional Italian eateries. The Annex Hodgepodge is perhaps the best mascot for the district. Its menu is as varied and surprising as The Annex itself. For entertainment, The Annex is home to museums, art galleries, live music venues and more. The Bata Shoe Museum and the Bloor Hot Docs cinema are among the more popular destinations. There is a smattering of small, eclectic art galleries on Bathurst. A Nerd’s World is another great example of the constantly surprising nature of The Annex. It is a photography business built by self-professed nerds. The walls function as a gallery of their work, covered with portraits of every client the business has ever worked with. The Annex is home to an architectural style developed in the area that is its namesake. Annex style houses are usually made with brick, but feature a lot of round arches and Queen Anne style ornamentation. Although many of the still-existing Annex houses were single-family residences at some point, many have since been converted into multi-unit residences. The Annex is a mix of housing styles, with several old and very large houses lining the residential streets. However, the vast majority of people in the area live in multi-residence buildings. According to the City of Toronto, there are more than 12,000 units in multi-residence buildings, compared to less than 3,000 total homes in other categories. This is an average of all home prices, so the reality of the market will reveal small condos for much less, and large homes in the older residential streets for much more. Streets like Bloor that are home to a lot of entertainment and transit stops stay quite busy and noisy for much of the night, especially on weekends. However, the majority of the housing is north of Bloor, where the Annex becomes quite a peaceful neighborhood. Pollution in the neighborhood is not noticeably better or worse than most of the city. There were 272 assaults reported in the Annex in 2011. This places it as the neighborhood with the 47th most assaults in Toronto. One of the theories behind the higher assault rate in The Annex is that the number of bars in the neighborhood could be a contributing factor. The nature of some of the crime in The Annex may be related to the youth population in the area. College parties that get out of control, small scale drug offenses and breaking and entering are among the more common crimes committed in the area. The University of Toronto’s St. George campus is mostly located south of Bloor street, but a few buildings are located in The Annex proper, north of Bloor and west of Avenue. The Huron Street public school, provides local public schooling. Many of the neighboring parts of town are home to more public schools. The Dragon Academy, the Royal St. George’s College and the Howlett Academy make up the private school options. With its great central location, the Annex has no shortage of access to public transportation routes. There are several TTC Subway stops within the Annex. The Dupont, St. George, Spadina and Bathurst stops are all within the Annex, allowing easy access to both the University-Spadina and Bloor-Danforth lines. There are also streetcars within the neighborhood. At the southern edge of the Annex at Bloor and Spadina, riders can get on the Spadina streetcar line. Bathurst is home to another streetcar line. Because of the University and busy commercial areas in the Annex, there are also a higher than normal concentration of bus stops, making the entire neighborhood extremely accessible for transit riders. The Annex is largely a single person’s area. 45% of the people living in the Annex are singles. There are also double the number of families in the area who do not have children living at home compared to those who do. 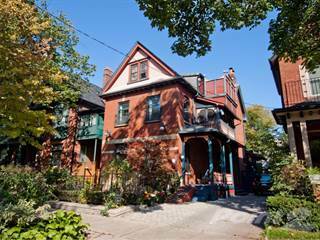 The Annex is a fast-paced, younger person’s neighborhood close to and a part of all of the action of central Toronto.